When an apt link is clicked or loaded in FF I found that it would prompt me to use a program to open the url.. but not actually give me a launcher or launchers to choose from. A quick bit of googling provided the answer so I thought I would share it with everyone else. 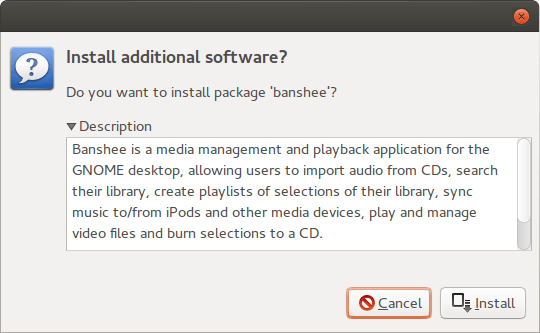 Also, I really can’t stand the Ubuntu software centre – it’s sluggish, often crashes and is in general a bit of a nuisance. This tutorial will fix the problem of not having a functioning apt url handler but also streamline it by using the apturl program to install instead. Next to where it says apt in the Content Type column, click the always ask drop down menu and click use other. 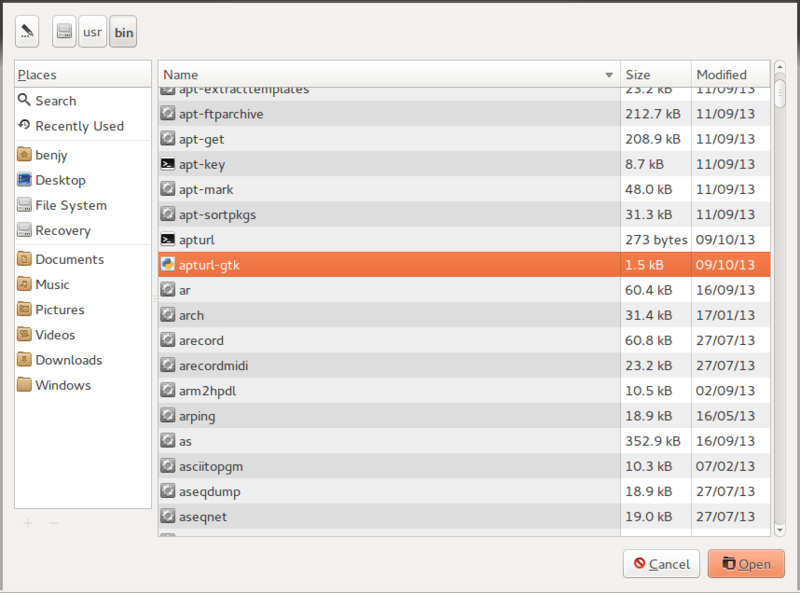 In the window that pops up navigate to /usr/bin (you will need to click the File System book mark on the left to get to the root of your file system) and find the apturl-gtk executable.